Bellator 214 “Fedor vs. Bader” takes place this Saturday night (Jan. 26, 2019) inside The Forum in Inglewood, Calif., marking the first of seven shows on the docket for Bellator this year. MMA Fighting’s Marc Raimondi confirmed that a long anticipated bracket of the Welterweight Grand Prix will take place April 27 in San Jose. Given it’s Bellator and the President is Scott Coker, one would think it will take place at SAP Center (the “Shark Tank”) but that has not been stated as such. Bouts streaming on DAZN can be watched here. 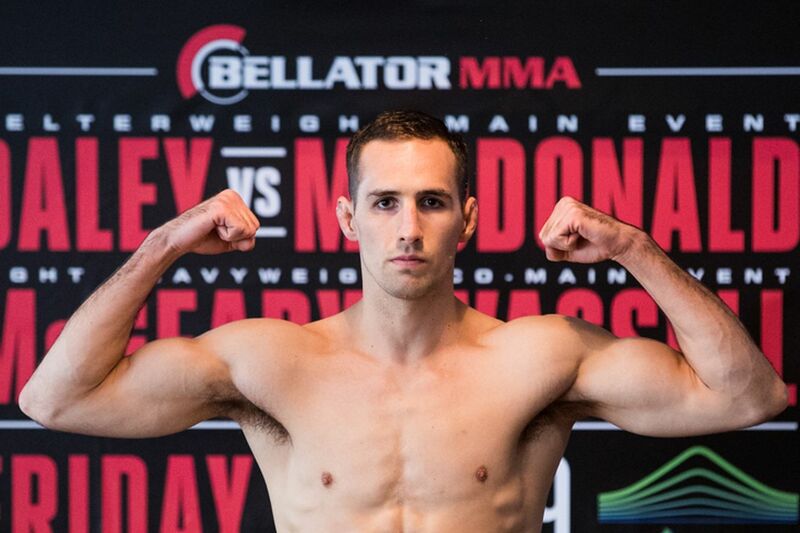 What we do know for sure is that Welterweight champion Rory MacDonald (20-5) will take his first fight since a one-sided loss to Gegard Mousasi in the same city last September in an attempt to gain the Middleweight title. Now, he will instead defend his Welterweight title against former World Series of Fighting (WSOF) and Professional Fighters League (PFL) champion Jon Fitch (31-7-1, 1 NC). Fitch brings a five fight win streak into this bracket of the tournament, as well as a name that is used as a verb in mixed martial arts. To be “Fitch’d” is to have all of your offense stifled through an opponent’s superior wrestling and ground control. MacDonald will have to stuff his takedowns and light him up from all angles to successfully defend his crown. No other fights have been announced formally (or otherwise) for this still-unnumbered event. Controversial UFC star Nick Diaz has accepted a one-year sanction from USADA resulting from three unsuccessful drug test attempts during a 12-month period from 2016 to 2017. 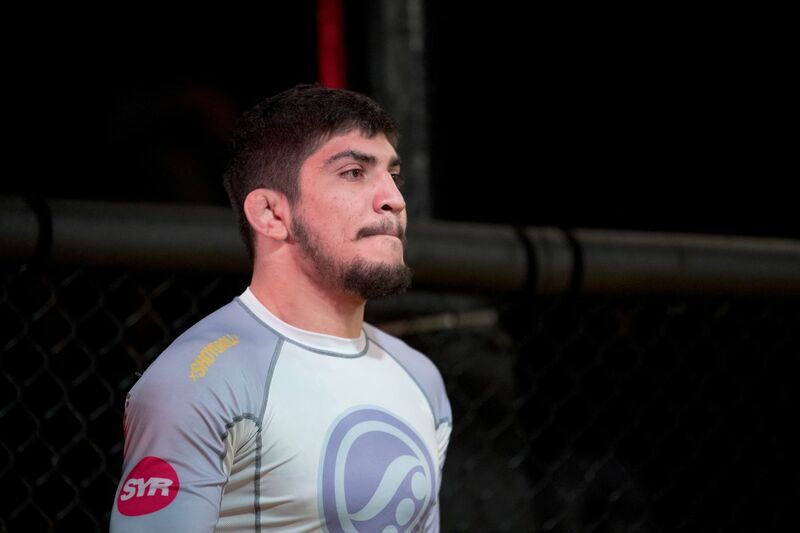 After signing with Bellator MMA early last year, jiu-jitsu prodigy Dillon Danis is scheduled to make his long-awaited mixed martial arts (MMA) debut at Bellator 198 on April 28 live on Paramount Network from inside Allstate Arena in Rosemont, Ill., per a recent report by MMA Fighting. The 24-year-old’s opponent has yet to be determined, but it’s confirmed that the main card bout will take place at welterweight. Danis, who has gained massive notoriety as UFC lightweight champion Conor McGregor’s main grappling partner, will train at Straight Blast Gym in Ireland in preparation for his MMA debut, according to SBG head coach John Kavanagh. It is a familiar environment for Danis, which will only help during his first official training camp. While it has yet to be seen how effective Danis’ grappling will be in a MMA bout, there’s a good chance the BJJ phenom finds immediate success. It will also be interesting to see how well Danis performs on the feet considering he’s been training alongside “Notorious” for nearly two years. Bellator 198 will be headlined by a Heavyweight Grand Prix quarterfinals matchup between MMA legend Fedor Emelianenko and former UFC heavyweight champion Frank Mir. Stick with Mania for more Bellator 198 fight card news. The vacant Konfrontacja Sztuk Walki heavyweight title will be up for grabs when Michal Andryszak squares off with Philip De Fries at KSW 43 on April 14. Gilbert Burns might have blown his chance to fight this weekend, but it seems he didn’t have to wait long for a new engagement. When Bellator MMA heads back to the Chicago area in April, the promotion will stage a clash between two of the most notable heavyweights in history. Combate Americas presents “Combate13” inside Casino Del Sol in Tucson, Ariz., this Thursday night (April 20, 2017) featuring a LIVE fight card on Azteca America and ESPN Latin America, with a special replay on UFC Fight Pass. The main event sees a former UFC fighter looking to make his name against a powerful striker undefeated in the promotion. Roman “El Gallito” Salazar (10-5-1) arrives in Combate Americas with something to prove following an unsuccessful three-fight stint in UFC. One of those situations was not his fault given Kid Yamamoto poked him in the eye at UFC 184. Nonetheless, if he wants to be “the man” in Combate Americas, he’ll have to knock off Ricky Palacios (7-1), undefeated in all four of his promotional fights in “La Jaula” — the cage where Combate Americas fighters settle their differences. Today, MMAmania.com talks to Salazar about his plans in Combate Americas to make a name for himself at the expense of Palacios and how thrilled he is to be fighting in pleasant circumstances. That’s not the only reason Salazar is happy — he calls Arizona home and can’t wait to put on a show for all of his fans in Tucson on Apr. 20. Salazar will also enjoy the sweet taste of redemption after a run where he feels he didn’t get the chance to show his skills and they offered him fights that would’ve been a bad idea to take. Garbrandt’s original opponent for the Cowboy vs. Cowboy card was John Lineker, but Salazar’s name being in the mix to replace him was a fresh detail to me. After seeing how Garbrandt cold cocked his opponent you can’t blame him, but he still wants one second chance he didn’t get. In the end though there are no regrets for Salazar, who is looking at Combate Americas as the place to raise his stock value, making everybody (including them) pay more down the line. It sounds like if all things were equal though Salazar would still choose to stay where he is now. Knowing just how tough Palacios is, coming into the main event with a four fight win streak and knockouts in 71% of his wins (five of seven), Salazar can’t wait to rise to his occasion. Don’t miss Combate 13 on April 20 on Azteca America(replay on UFC Fight Pass) to see if he can solve that puzzle. Complete audio of our interview is embedded in the player above. To check out the latest Combate Americas news and notes click here. Now that UFC 210 is in the books — full results here — Ultimate Fighting Championship (UFC) is all set to stage event, and it’s going to be a good one! UFC on FOX 24 is all set to pop off from Sprint Center in Kansas City, Missouri on Saturday April 15, 2017 and will feature a Flyweight title fight between division champion, Demetrious Johnson, and No. 1 contender, Wilson Reis. “Mighty Mouse” will also be searching history, as he looks to tie Anderson Silva with 10 straight title defenses. Expect more promo video such as this one to be released as fight night draws closer, until then take a look at the most up-to-date fight card by clicking here.